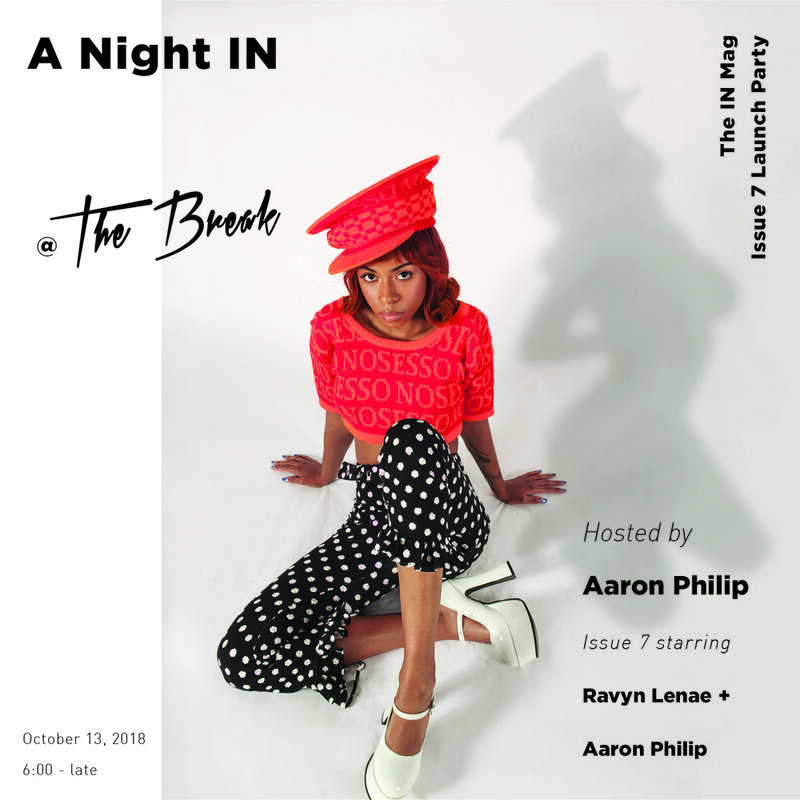 Join us on Saturday, October 13th to celebrate the launch of IN Magazine’s 7th issue starring Ravyn Lenae and Aaron Philip. Kicking off from 6pm till late. See you there!